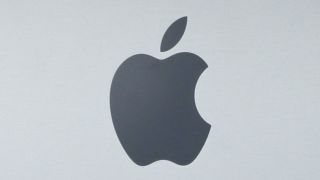 The Apple iPhone 5 may support LTE globally, allowing users to jump from country to country and continent to continent without losing their lightening fast connectivity. This is according to a recent report, with sources telling the Wall Street Journal the device can pick up on LTE in places like the U.S., Europe and Asia. While this is exciting in terms of connectivity and speed, the sources also said not every carrier will offer the service. Apple needs to watch itself, however, as Samsung has threatened to sue if the Cupertino releases an LTE device. The Korean company holds 819 LTE patents and while Apple's iPad 3 currently sports LTE, Samsung seems to be lying in wait for the iPhone 5, likely as payback for the $1.05 billion in damages it's been ordered to pay Apple in lawsuit damages. Apple has picked up several hundred LTE patents (434, to be exact) over the last year to cover itself against Samsung's potent patents, but that doesn't guarantee Samsung won't engage in a long, drawn out court battle with their rival. TechRadar will have live coverage of Apple's Sept. 12 event from San Francisco, where we expect the iPhone 5 to make its prodigious debut, and will give you the LTE lowdown.